Fresh from a refurb, the Bombay Brasserie has definitely benefited from a lick of paint -- it now boasts a gorgeous minimalist colonial look with a backlit bar designed to subtly replicate the look of an open drinks cabinet. 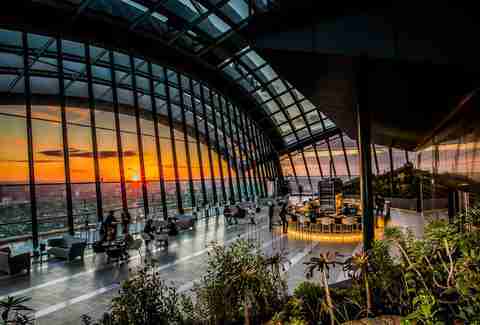 Housed in the Sky Garden on the upper floors of a gigantic mobile phone-looking building in Bank (famed for its ability to melt cars with the sun's rays), Pod has a view over virtually the entire city from its vast three-story-high curved window, the likes of which you've probably never seen before. 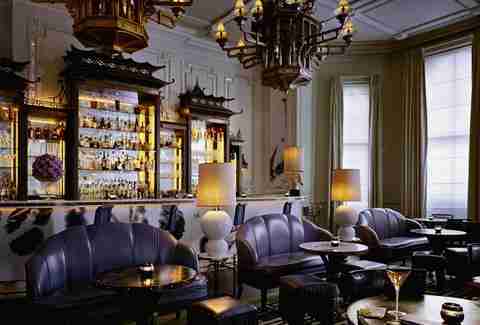 The bar itself isn't too shabby either, with a palatial, open feel to the space and sleek modern fittings. Sure, when you're in The Savoy, you kind of expect elegance. But you don't expect this. 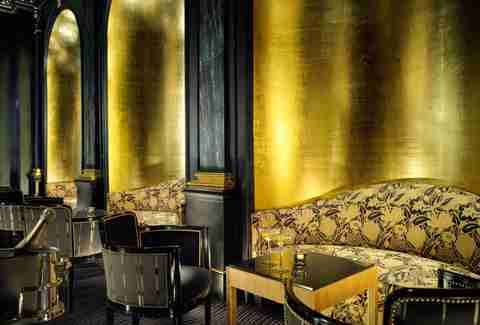 The opulent black-and-gold surroundings are the result of a £220 million refurb across the entire hotel, which saw the Beaufort built from scratch on the hotel's old cabaret stage. Yes, that's a life-sized sculpture of a tree they're serving drinks from. 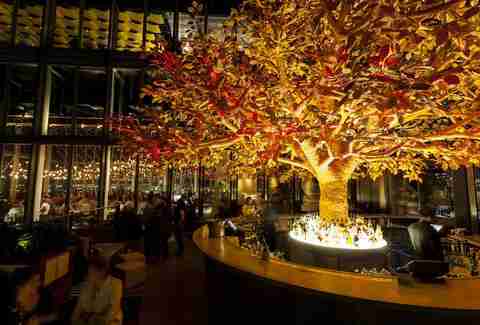 And that tree is located on the 38th floor of the Heron Tower, placing it on the highest outdoor dining terrace in Europe, so the view outside isn't exactly terrible either. If you've ever been to sketch, then you already know that it's a pretty beautiful place (in its own weird, arty, slightly surreal way). The Gallery Bar, however, is the peach. 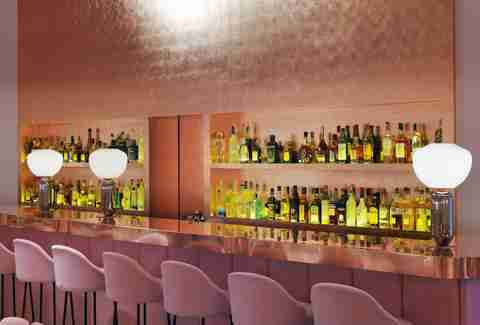 It's got a dusty pastel-pink vibe throughout, from chairs, to walls, to the bar itself, all of which is offset by a collection of classic, crudely drawn David Shrigley artwork at the back. 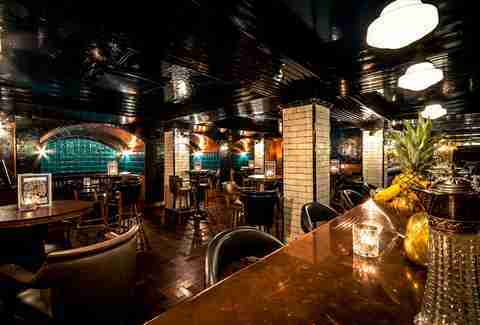 Set below the steakhouse's original outpost, this subterranean addition might just be the pinnacle of the Hawksmoor's famed (and oft-mimicked) Art Deco style. 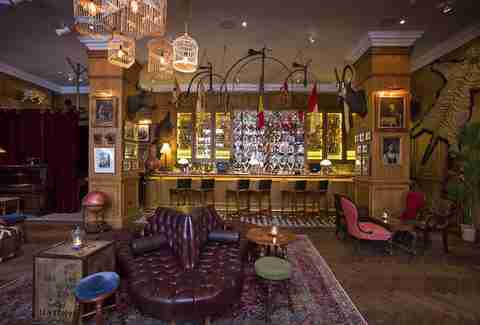 The gorgeous copper bar, parquet floors, vintage lighting, and leather-clad seats all create such an impression, you would swear the drinks actually taste better because of it. 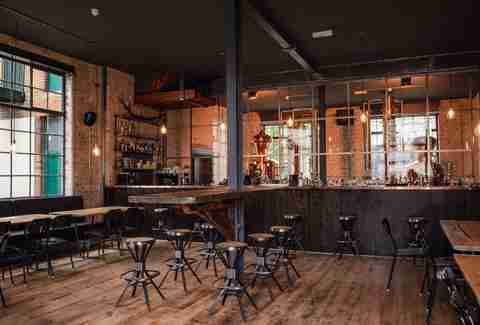 Freshly opened in Dalston, Rudie's not only has a pretty spectacular lighting installation and all-bespoke furniture, but it also has the country's largest rum selection to boot. Also, if you're in the mood for jerk chicken, you could certainly stand to do worse. 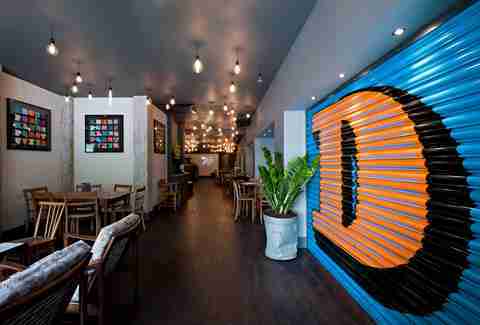 Graphic Bar makes the list because it's one of the few places in the city that's managed to successfully bring street art indoors without it seeming forced or incongruous. The recessed walls all sport huge, stunning letters by the now-iconic Ben Eine, while the bar itself houses the UK's largest selection of gin, too. Something of a newcomer to the scene, the ELLC has taken its huge distillery space where it produces both gin & vodka, and started serving the stuff in it as well. 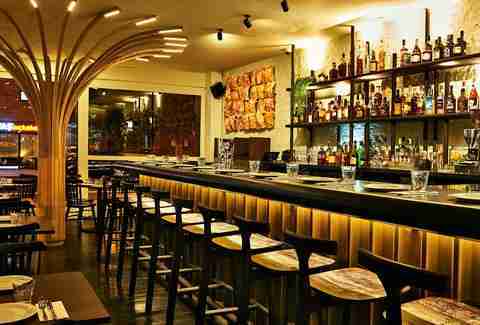 The bar has a fittingly industrial look, while also somehow managing to remain inviting and comfortable. 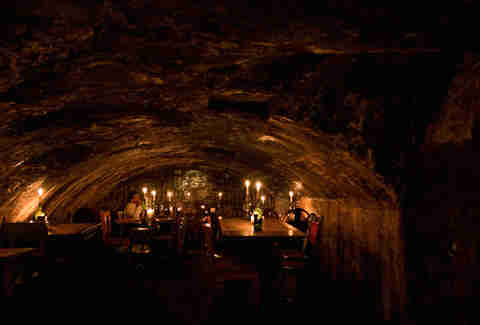 Gordon's is striking for its cave-like appearance, so its true beauty really comes out in the candlelight used to illuminate the place. Though just a few yards away from Charing Cross and the Thames, when you're here, underground, and insulated from the noise, bustle, and daylight, it truly seems as though you're in another world. Named for a certain explorer and hot-air balloon enthusiast, Fogg's is peppered with Victorian-era knick-knacks, relics, antiques, and curiosities. The thing that really sells it however, is that these garnishes are also accompanied by a true sense of luxury, with leather seats, fine carpets, and plush fittings. 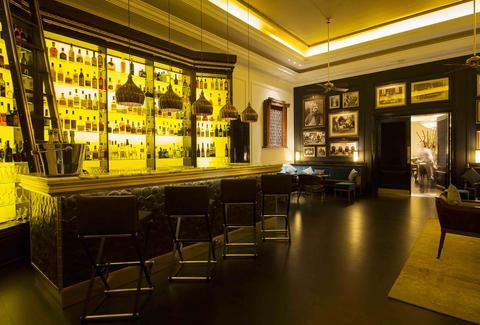 Set in Dishoom's KGX branch, The Permit Room is not only a good place to showcase the resto's pretty impressive cocktail lineup, but also the thoughtful design that goes into each of its venues. 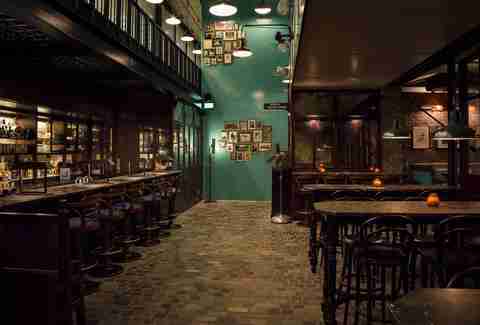 It's huge, moodily lit, and designed to replicate the feel of an old Indian train cafe. The drinks themselves are also pretty inventive, with cocktails all aged in bottles before being served over hand-chipped ice. You don't become the "world's best bar" (at least, according to the folks at The World's 50 Best Bars, and the Tales of the Cocktail awards) by looking like just any old drinking hole. Artesian has a carefully curated look that evokes both the modern and old fashioned at the same time, sporting sofas that look like they're waiting to kiss you and a mirrored pagoda bar that lets you see the most beautiful thing in the room: you. From revered drink-smith Tony Conigliaro, ZTH is a drink den that feels like an old gentlemen's club. 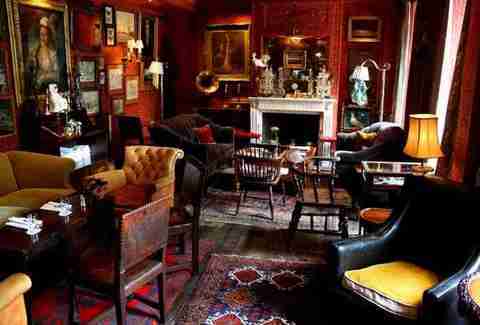 Cluttered with old carpets, paintings, statues, and chairs, it both looks and feels lived in. And trust us, we mean that as a compliment. Sign up here for our daily London email and be the first to get all the food/drink/fun SF has to offer. Jason Allen is a senior editor at Thrillist, and thinks the first sip is with the eye.